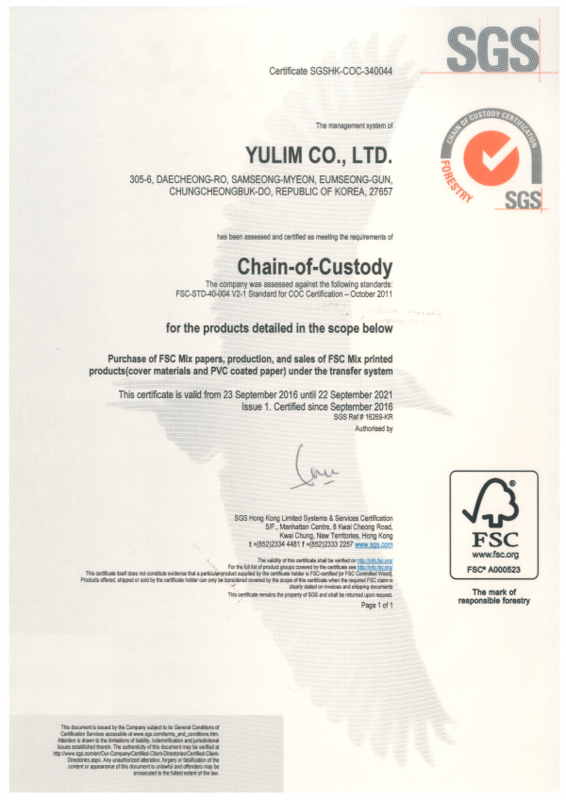 Yulim has achived FSC COC certification on Nov, 2016. As an action to take responsibility on our evironment, we are proud to become one who takes a part in FSC chain of custody. You can check our FSC certification on our resources library.